After 26 years, it's ALL off-duty! Wes retired from the Fire Service on July 7, 2001 (and was held over on forced overtime the following morning...). Astronomy - after a long hiatus, Wes got back into amateur astronomy, thanks to friend and co-worker Mark Alderson, who introduced Wes to the LX200 (8" f/10). Co-conspirators in this "conversion" were Paul Cooper and Doug McFarland, both extraordinary amateur astronomers and avid astronomy evangelists. If there was a public star party within fifty miles, Paul and Doug were there, generously sharing their telescopes and their expertise. Unfortunately, we lost Doug this year, and it's hard to describe how much he will be missed. Thanks, guys, for bringing me back into the fold! Mark has taken many excellent images with his LX200, and Wes and Mark purchased a Meade Pictor 216XT to explore autoguiding and ccd imaging. This started a trek that has led to many interesting places, including visits to Kitt Peak to participate in their excellent Advanced Observing Program. When asked recently how many telescopes he owned, Wes had to admit that he wasn't sure... Among others, Wes owns a 10" LX200 (f/6.3), an 8" LX200GPS (f/10), a 5-inch AR-5 refractor, a TV-85, several ETX's, and more than a dozen binoculars (the Canon Image Stabilized are his favorite). At any given time, he has several telescopes and binoculars out on long-term loan. Imaging is done with a Meade Pictor 416XT system (guided by a Pictor 216XT or 201XT) or with digital and video cameras. For solar observing, Wes uses a 40mm Coronado SolarMax on the TV-85 or white-light filters (glass and Mylar) on the LX200's. Wes has written several astronomy-related software applications, including a Lunar Co-longitude program and an Asteroid Identification application. Cycling - his co-workers shamed him into getting back on a bicycle, and Wes took it seriously, putting many thousands of miles on a Cannondale SR800. He has travelled to Washington twice to ride with his nephew Kevin (Lieutenant with the Seattle Fire Department) in the 200-mile Seattle-to-Portland Bicycle Classic. 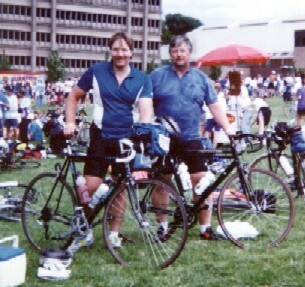 In deference to the "old man", they did the 200-mile ride in two days, instead of one (which Kevin has done). Music - although he spent his school years performing in everything from chamber groups to orchestras, Wes turned away from performing music for scientific and engineering pursuits; nevertheless, his love of music endures to this day. Long-time members of San Diego Opera, Wes and Mary for many years scheduled their time off around opening nights. Photography - introduced to photography by his father, who taught him how to process file and to print photographs, Wes has enjoyed this hobby all of his life. He still uses his venerable Nikon F Photomic FTN and F3, although he has also adopted newer technology in the form of digital cameras. His latest experiments involve afocal images captured through the eyepieces of several telescopes (from ETX to 16" LX200); some images appear on the "Other Images" Astronomy page. 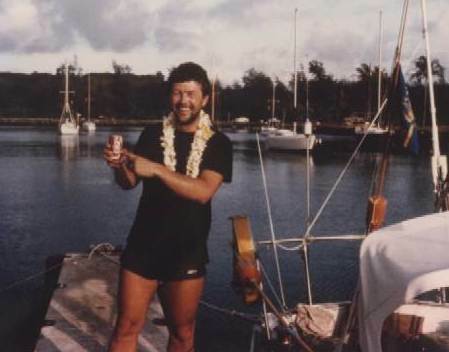 Sailing - although he grew up around commercial fishing boats, Wes had never been on a sailboat until his early twenties, when friend and former teacher Charlie Warthen took him sailing. 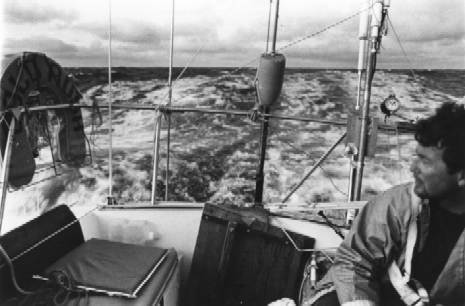 This started a love affair with sailboats that continues to this day; Wes owned a Schock-built Santana 20 midget ocean racer for more than twenty years, and has crewed on races ranging from round-the buoys in San Diego Harbor to coastwise Ensenada (Mexico) races to Trans-Pacific races (Kauai Yacht Race twice). Hey, Manfred - sorry about being such a prima donna, but we did overcome some interesting obstacles! Was I ever really that skinny? Computer Programming - in 1966, while still in high school, Wes became involved in a special project at the Data Processing Center at MCB Camp Pendleton, working on an IBM 1401 and an NCR 304 (which booted up with paper tape). Computers figured heavily in student projects at CalTech, where programming assignments were written in CITRAN, an interpreted language similar to BASIC. Wes built several computers over the years, and wrote programs for HP calculators, some of which were published in the now-defunct CHHU and HP Chronicles. Charlie Warthen stepped in again, this time with an Apple II, and they both took a Pascal programming class at UCSD. When HP made Intel-based PCs, Wes made the transition, and never looked back. Although he is competent in C, he still prefers to program in Pascal, and he waxes poetic over Delphi. One of his long-term pet projects is ShiftCal - the Firefighter Calendar.